December 11, 2013 (Williamson County, TX) – The Williamson County Regional Animal Shelter (WCRAS) is offering an opportunity for families to foster healthy animals over the Christmas holiday. Any family or individual desiring to foster a dog or cat from December 22 to January 2 can apply to be a foster parent through the shelter’s website at www.wilcopets.org. The Christmas fostering program’s goal is to have all the shelter’s 350 dogs and cats in a foster home over the Christmas holidays. The program gives both animals and staff a needed break. Foster family applications must be completed by Friday, December 20. 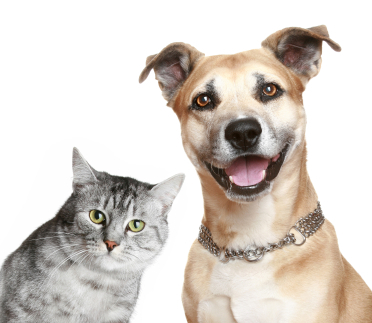 Families can specify if they want to take a dog or cat and the approximate size animal their home will accommodate. Animals are then matched with a family and must be picked up before the shelter closes at 4 p.m. on Christmas Eve and returned between December 26 and January 2. The shelter is open Monday through Friday from noon to 6 p.m., and Saturday and Sunday from 11 a.m. to 5 p.m. Adjusted holiday hours for the shelter include closures on Christmas Day and New Year’s Day, as well as closing at 4 p.m. on Christmas Eve, December 24 and New Year’s Eve, December 31. The shelter is located at 1855 S.E. Inner Loop in Georgetown. To reach the shelter from IH-35, take Exit 259 and go east two miles. The shelter is located on the north side of the road just east of FM 1460. For more information, call Cheryl Schneider at 943-3322. This entry was posted in Pet Adoption, What's New? and tagged Williamson County Regional Animal Shelter on December 11, 2013 by Stewart Dale Spencer.